Tool Steel Investment Casting - A2 , S7, D2, O1 Alloys | Milwaukee Precision Casting, Inc. When your carbon steel or low alloy steel component just doesn't stand up to the intended use, Milwaukee Precision Casting, Inc. offers many different grades of tool steel castings. Do you require the ultimate in wear resistance? We can recommend an investment cast tool steel castings in D-2 or M-2. Try our S-7 tool steel castings. Do you require minimum distortion during heat treat? Then we suggest you use A-2 tool steel. Used primarily for when parts will be under higher heat due to less distortion. not corrosion resistant like stainless steel. 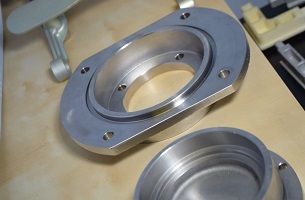 Milwaukee Precision Casting, Inc. offers tool steel castings heat-treated to suit your needs. If your part requires secondary machining operations, we can supply your component fully annealed as low as RC 20. We also harden and temper our various grades of tool steel as high as RC 60. Milwaukee Precision Casting, Inc. offers one of the widest selections of alloys available at any investment casting foundry. Working with both ferrous and non-ferrous alloys, our versatility enables us to cast more than 100 alloys and tool steel castings. Please contact us and let us know how we can serve your tool steel casting needs.